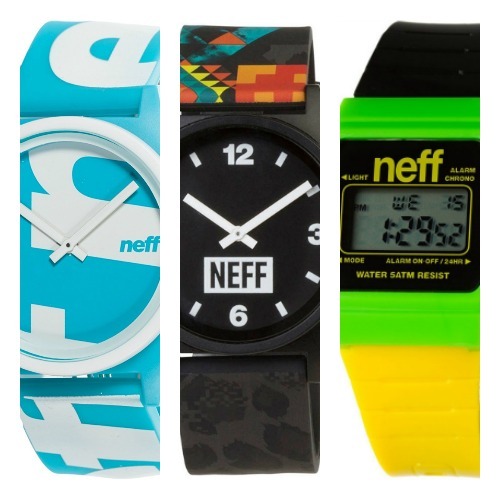 Hey everyone, today I’m going to be doing a little Neff watches review. 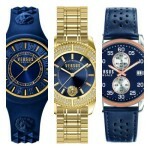 These are fun and colourful timepieces and are suitable for men, women, and kids. Shaun Neff created the Neff Headwear brand back in 2002. They offer a range of watches, hats, and sunglass primarily aimed at the action sports crown. The company is still based in Southern California where Neff lives. You can learn all about the history of this brand on the Neff Headwear Wiki page. Or you could even head to their main web page – Neff Headwear. You may have first heard of the Neff brand from watching the X games which is for extreme-sports fans, I used to love watching the X games whilst growing up. 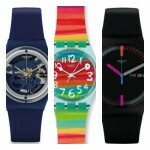 As I mentioned earlier on, these fun and colourful watches are available for men, women, and kids. Many of the watches are classed as Unisex, the only real thing you would need to take note of is the casing size. You can view a wider range of more smart looking watches for teenagers here. 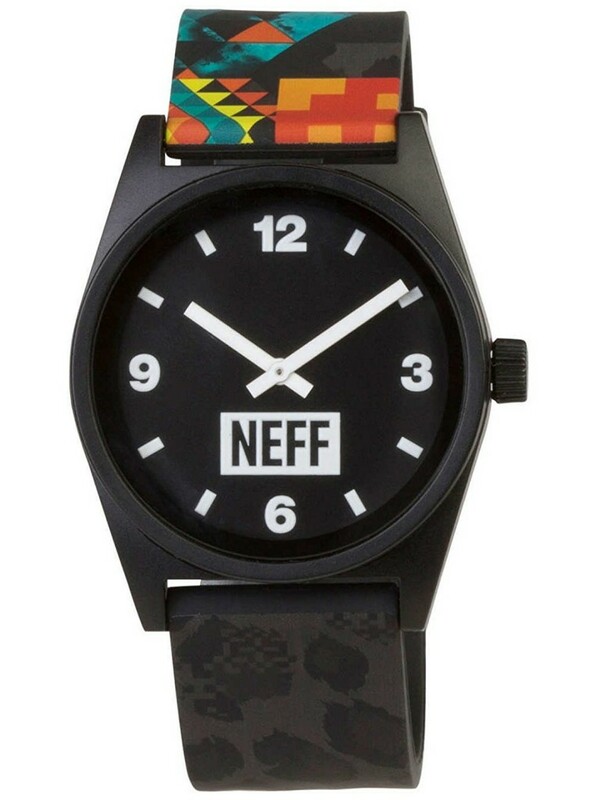 Neff watches are perfect if you’re looking for an affordable fun timepiece that are cheerful and youthful in style. They tend to be made with affordable specs like silicone straps and plastic cases and are fitted with basic quartz movements. Again, Neff isn’t a brand you’d go for if you prefer to go dress watches. 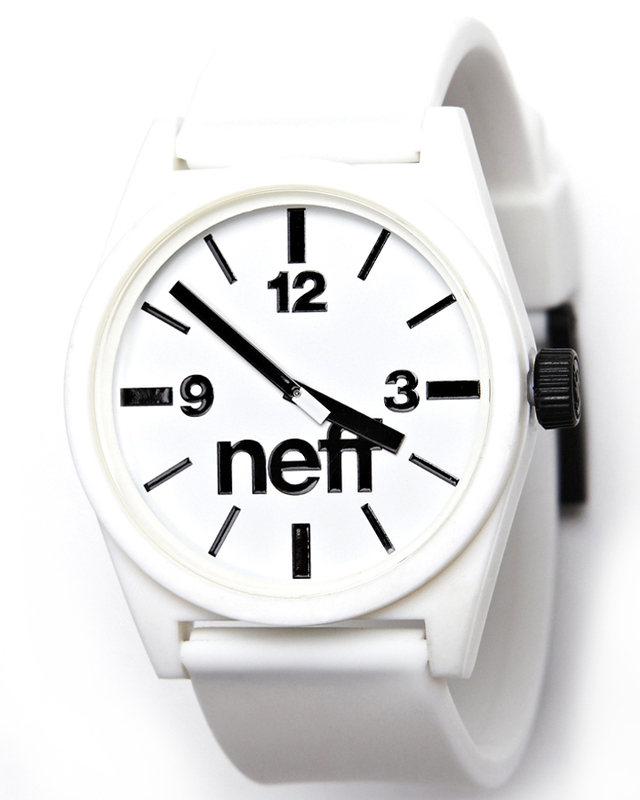 Neff watches are the type of timepiece I’d wear whilst heading to the beach or having a kick about with the guys. It’s something that could break or lose and I wouldn’t be too bothered as I could buy myself a replacement cheaply enough. Most people tend to be pretty pleased with Neff watches, yes it’s fair to say there can be the odd quality issue, but that’s a common problem for any brand producing such affordable watches. To finish off this Neff watches review I’ve decided to showcase 8 popular Neff watches to give you an idea of what to expect from this brand. Remember this is just the tip of the iceberg from this brand, they have a huge range of very affordable and fun looking colourful watches. If you have any questions about any of the Neff watches featured below, just comment at the end and I’ll try and help you out as soon as I can. 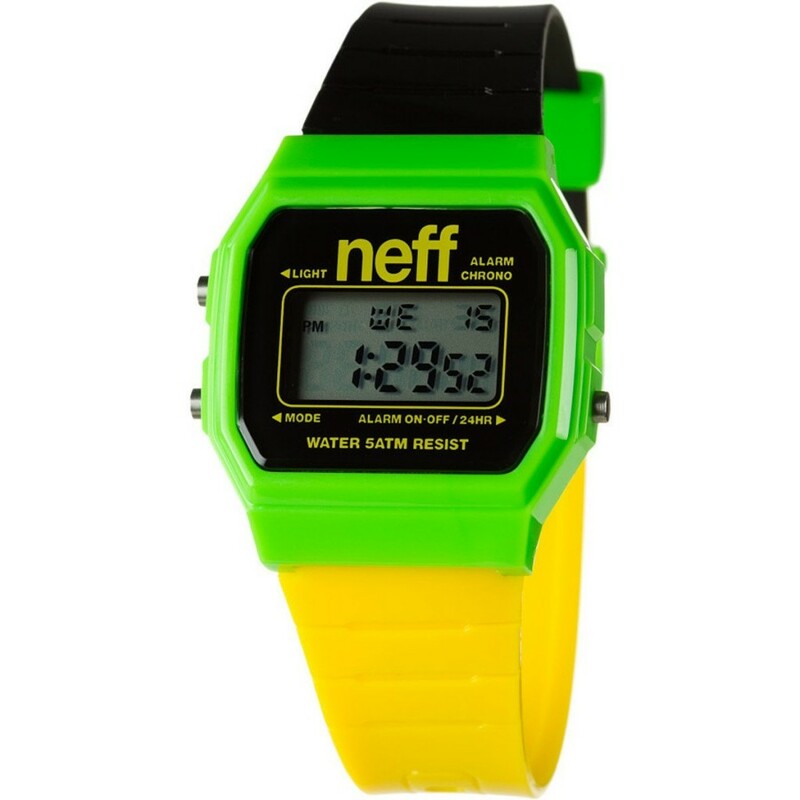 First up in today’s Neff watches review list is this popular fun and colour digital watch. If you’re after something a little different from your standard men’s digital watches this vibrant timepiece could be just the thing. The lemon and lime coloured watch has a small digital display with a backlight and date function. 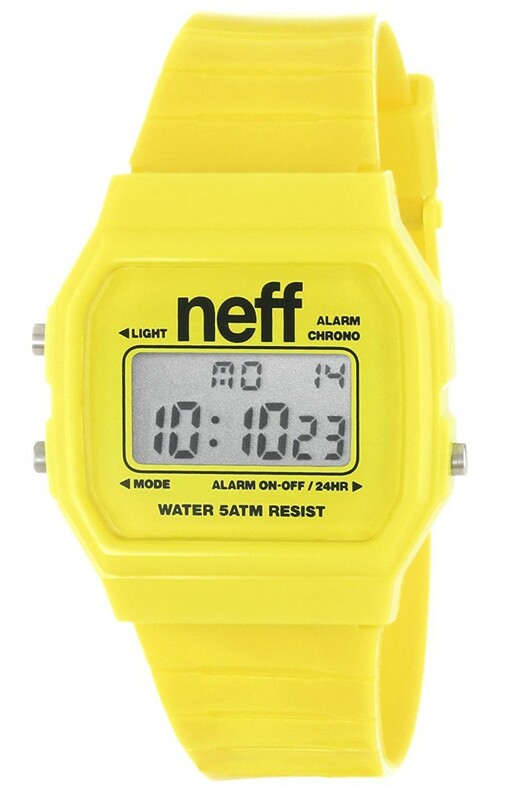 Next up we have this very summery unisex Neff watch with this awesome yellow finish. It’s a basic plastic watch with an easy to operate digital screen with an alarm and backlight function. It also has a 50m water resistance rating which is great to see. Here we have a brilliant silicone timepiece that’s perfect for anyone looking for all white watches. This fun watch features high contrasting black hands and hour markers that make reading the dial very easy. The strap is made of silicone for a comfortable fit. 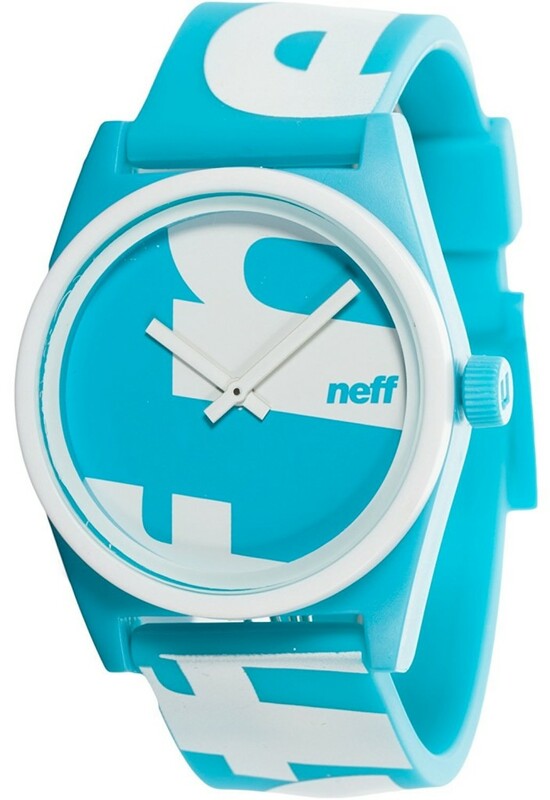 In at number 4 we have this light blue unisex watch from the Daily Wild collection by Neff. With a vivid 90s look this watch really stands out on the wrist and features a comfortable adjustable watch strap. It’s powered by a reliable quartz movement and has a 50m water resistance rating. 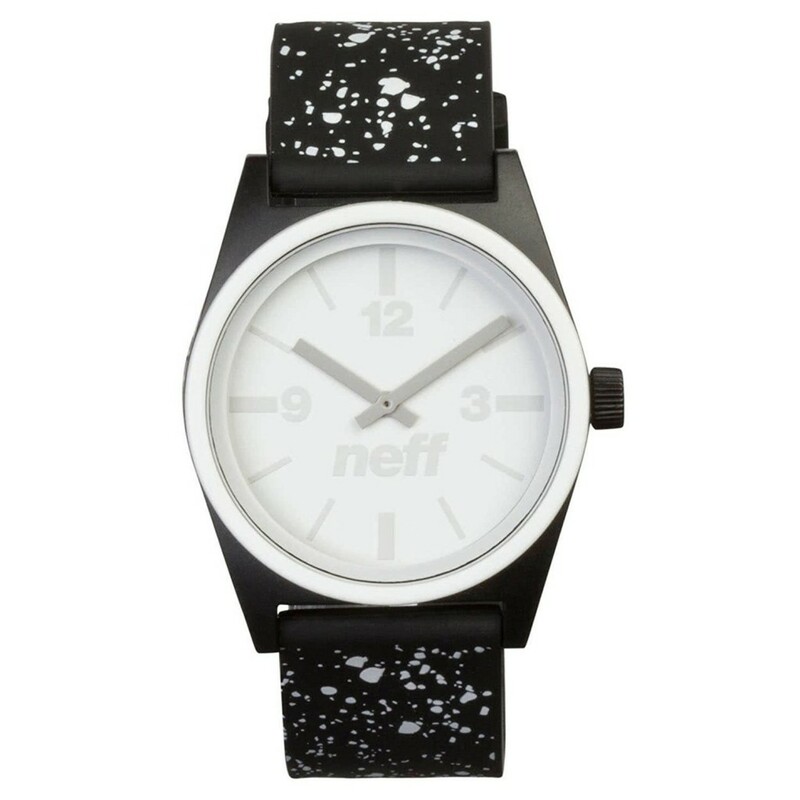 For number 5 on out Neff watches review we have another unisex timepiece from the Daily Wild collection. The dial on this model is very easy to read with these blue hands and hour markers that stand out on the black background. You’ll be pleased to hear that this model also has a 50m water resistance rating. You’ll be able to read my full Neff Daily watch review here soon. 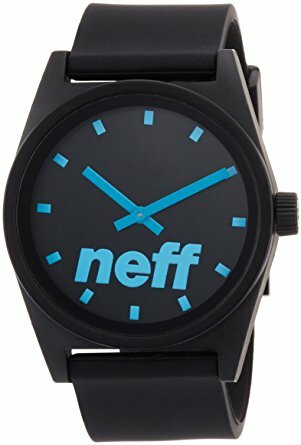 I love the design of this Neff watch. The speckled paint effect they’ve gone for isn’t something you see very often with watches. This Neff watch is built with an ABS casing and features a PU strap that fastens with a buckle clasp. It also has a 50m water resistance rating like the previous Neff watch. You can read my full Neff watch review here soon. This is possibly one of my favourite Neff watches for men. A key feature of this model is the cool looking strap design. The dial has a high-contrasting design making it very easy to read with its bold white hands and hour markers. The watch is powered by a quartz movement and has a 50m water resistance rating. 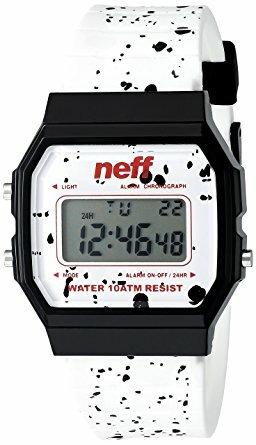 Last up on our list today is this dot design Neff men’s digital watch. This Neff ‘Flava XL watch features an easy to read digital display that features a chronograph, alarm, and backlight. The watch even has a 100m water resistance rating which is pretty impressive. 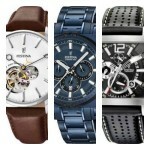 Thanks for taking the time to read through today’s Neff watches review. What was your favourite model? Comment below and let me know.